Is there anybody left who doesn’t know you can’t take the Galaxy Note 7 on an airplane? The Department of Transportation thinks not. As of Tuesday, the FAA says that airlines no longer have to make pre-boarding announcements concerning the explodey—and banned—nature of the device. You may recall that back in October, Feds banned the Galaxy Note 7 from all domestic flights and most other international flight agencies followed suit. Samsung even had to set up exchange booths at airports, to prevent passengers from certain travel nightmares. If you’ve flown on a flight out of the United States since September, you’ve probably heard the announcements at the top of the flight letting everyone know that the Note 7 isn’t allowed and that if for some reason, you managed to fly with one, you need to tell a flight attendant so they can put the phone in a fire-proof bag. 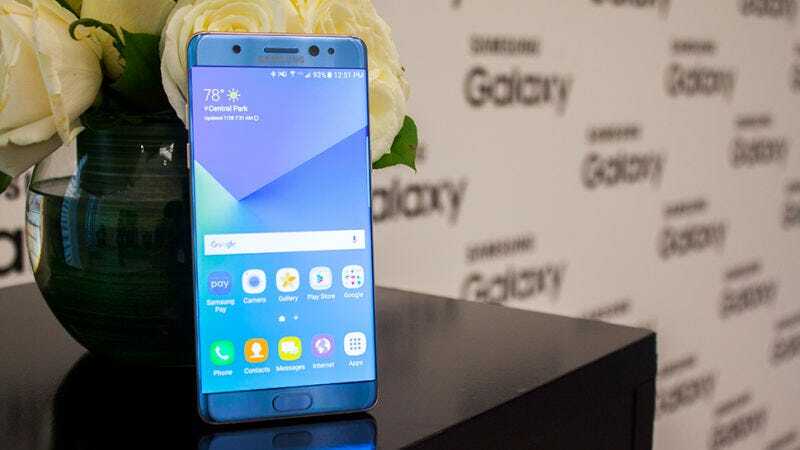 For its part, Samsung says that 96 percent of Note 7's have now been returned or exchanged in the United States. In part that’s probably because Samsung recently issued software updates that basically brick the device and make it useless, and people have known that this is coming. I mean, even this guy finally returned his phone. If, for whatever reason, you’re still hanging on to a Galaxy Note 7—you should still return it immediately. And even without the announcement pre-flights, the feds have still banned traveling with the phone.